Here, legendary chef Jacques Pépin reveals tips for making perfect hard- and soft-boiled eggs. 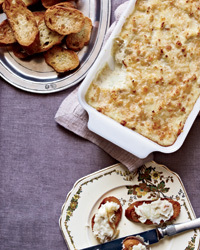 Plus, delicious F&W recipes that call for them. These techniques lead to perfectly yellow yolks and make peeling a breeze. 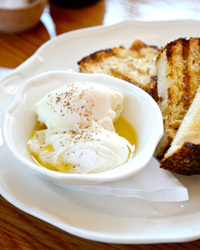 An immersion circulator cooks eggs to an incredibly soft, creamy consistency. Chef Katie Lee deconstructs the retro hors d’oeuvre, blending hard-boiled eggs with mustard and mayonnaise so it’s more like an egg salad that she can spread on toasts. The hard-boiled eggs and anchovy mayonnaise for this easy appetizer can be refrigerated separately overnight. A favorite among the F&W test kitchen staff, this sensational recipe blends hard boiled eggs with flavorful Italian ingredients. Delicious dishes that make use of hard-boiled eggs.